I loved the scene between Superboy and Miss Martain, and Red Tornado walking into the room than out on account of the akward scilence. Robin's eyes lighting uo when he went to play basketball with Bruce...so sweet. Seeing Artemis's realname and who much she cares for her mother, it gave me more of a feel to her personality. Wally get caught eating the icecream and talking with a spoon in his mouth-HA!, best signature yet Jovail. Now, to get to it, Plasmus defeating the team was actually pretty believable. I like Superboys "Head home? I am home" quip-clearly shows his dislike of being locked up in the cave. The look of pain on Aqualads face when Tula said that her and garth were together actually made me fell sorry for the guy...poor Aqualad. yeah im pretty sure that was clayface since it was in gotham city lol but i will say that clayface looked awesome!! I love this version of Atlantis! It looks extremely awesome. But my favorite was definetley the one with Wally and the other Speedsters at Jay birthday. Black Manta...just...wow, the dude is awesome!!! Aqualad pulled one of Robin's moves! Garth, definetley not the Aqualad we're used to but he's still awesome! The little love triangle, if I may quote IGN I think it was "How do you say 'ocuh' in Atlantian?" Hearing Batman talk about the next mission, a huge power surge in the Biyalian Desert...we all know what that means! And if you don't read the summary for the next episode :b I didn't even know Biyalia had a desert, from BTBATB I thought they were just some small coast country. Oh!!! And we got to see Alfred with yet another version of thee 'mustache'!!! I didn't really like this episode; the best parts are the sub-stories. I really like the team dynamic and it's bumming me out that they're not spending a lot of time together. The random speaking of a different language threw me off, too; it didn't seem to be their native language, as all of them spoke English. The dynamic between Garth and what's-her-name was interesting, and I was glad to see the use of Clayface. SnowFallsSlow wrote: I didn't really like this episode; the best parts are the sub-stories. I really like the team dynamic and it's bumming me out that they're not spending a lot of time together. As for the Artemis/Paula Crock scene, I didn't really see it as a stereotypical Asian mom, just a mom from poverty or a bad past. On one half of my family, everyone is Mexican. They've got crappy jobs like construction workers, farmers, all very laborous jobs and such. They want us to become what they couldn't, doctors, lawyers, etc. because the oppurtunity wasn't there for them. So, needless to say, I found that scene really special and believable. Yeah...I have to agree with you on the salute, its reminded me of a legally retard boy in my class(NO OFFENSE TO RETARDED PEOPLE-they are actually quite nice and good company to keep around when you need someone who cares). What I'm trying to say is that, the salute things looks alot like dunce move-basically saying "I'm stupid" in a non literal way. Made me laugh each time he did it. I didn't find it at all strange. Ancient Egyptians kissed with there noses, nodding you head in Bulgaria means no. In Brazil forming an 'okay' sign with your hand is considered and obscene gesture. Each culture has it's own unique customs and traditions. So it makes sense for them to do something different. Hey-I mean no offense, but (like Artemis) where I come from, salutes like that mean youre going to get pumbled(or laughed at, depends on the person). But, Yes, I have a Lithuanian cousin and I understand cultural differences. It makes sense. I did like the salute, and I agree with you on that point. If there was a translation spell cast, that would make the whole language bit agree with me a lot more. My issue wasn't that they did it, but that they stopped without explanation. Yeah-and did anyone notice that when Aqualad left Atlantis, there were no effects of the water that was displayed earlier in the show? Just WHAT are you exactly trying to do to me? Huh? Kill me? HUH? What?! It doesn't show where she got her catchphrase from! Yeah it does. :b Remember when Artemis is talking to her mother and the T.V says something along the lines of "And next on the comedy central network, an episode of Hello Me-" and then her mom turns the t.v off. I was glad that Aqualad finally gets an episode! This was decent. I enjoyed seeing what they do in their downtime (love the title by the way). The action was top notch as usual and wonderful animation for Atlantis. Guess who FINALLY watched the episode! I sort of expected a hawt Garth, this one was kinda meh :l But okay. He didn't do much fight, and I know the show wanted to deliver the Garth-should-get-his-head-in-the-game message, but really, I'm pretty sure he's better than that. Especially he was the one who continued training when Aqualad left. And he never EVER became the Aqualad - straight to the Tempest? Geez Earth 16. Y U SO WEIRD. ROBIN WITHOUT GLASSES! THANK YOU! And his moments with Bruce were absolutely lovely. My favorite of the episode's little bits. The soft side of Artemis we get to see. Also lovely. Yay all Flashes at one place! Batman taking down Clayface at the begining - WHOO. BLACK MANTA. Yesh. I was hoping to start to see the Aqualad-is-Black-Manta's-son hint from here, but meh, I guess we'll have more later. Orm as a good guy - and still with the fact that he was a bad guy in the past. That fits perfectly. Oh and. The love triangle thing. Was that supposed to be canon? I don't know-but Jessie Mc Cartney leaked that theres a love triangle between Sb/MM/KF and that there will be 'sexual tension'(hes Robins vocie, still don't know why they choosed him). 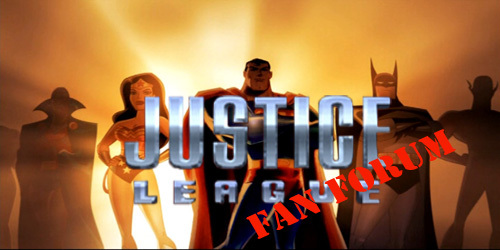 Ohhh....thanks DcFan-I thought that sounded familair when I heard it on the tv, I just didn't hear the 'Me-' part, my tv volume was low (I'll make sure to turn it up HIGH next time). LostShadowSoul wrote: I don't know-but Jessie Mc Cartney leaked that theres a love triangle between Sb/MM/KF and that there will be 'sexual tension'(hes Robins vocie, still don't know why they choosed him). *whispers* Don't remind Ria who voices Robin, she gets mad :b Although I must admit, I didn't know much about McCartney before the show. I mean, I knew he was a singer for the beatles but thats about it.